Squee! A new cookbook by Jamie Oliver! I am so excited! One of my fave historical authors. Hmmm, this highland romance seemed to suffer from a lack of detail for me. The bare bones of the story are good, even though it's a plot that seems to have been done quite a lot, but there just isn't enough to back up the outline. When I started reading, I felt like I was just dumped into the middle of the story, without any background info on the characters. I really thought that I had missed a previous book in the series, because I just wasn't getting to know the characters or situation at all. As the story progressed, we just kept jumping from event to event without any build up. The hero and heroine suddenly kissed for the first time out of nowhere in my opinion, and it was just jarring, there was no anticipation. On the other hand, the secondary characters were interesting. I liked Rosalia's 'brother,' James, quite a bit. The main characters could have been a lot more developed, I think, which would have improved the story. I just felt like the characters were going through the motions of their adventure and romance because it was what was expected of them. Bottom Line: This wasn't different enough for me, it seemed like a plot that has been done many times, and there wasn't enough background given to the story or the characters. 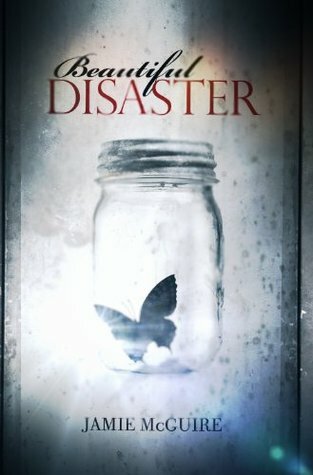 This book was a really impressive debut novel. I really liked the alternate historical world that the author built, and her characters were complex and likable. There was a large steampunk element that I really enjoyed, and a lot of vampire lore for the paranormal fan. Honoria was a strong female lead, the book never turns into controlling vampire with submissive, weak-willed female, like many paranormals. She put Blade in his place many times, and I especially liked the scene where she let Blade's best friend Will know that no matter how much Will didn't like her, she was there to stay. I really liked Blade, of course I mostly liked his soft and tender side. Sometimes the way he was both sweet as can be and such an alpha vampire seemed like it was trying to make the character please all readers all at once, and sometimes didn't seem like it could be true. Yes, I know that he was fighting with his dark vampire side at all times, but that's not what I mean. I actually liked that contrast. That was more of a gruff and tough outer shell with a heart of gold, which it totally believable. But sometimes, I found myself saying "Blade wouldn't say that or think that," so I had to just ignore his over the top alpha moments. At first, I thought I wouldn't like Blade's heavy cockney accent, it's not something I'd ever seen done for a hero before. But it started to make him even more charming and adorable! For some reason it was so sweet that he didn't have that perfect, high-brow accent that we are so used to seeing in historical heroes. Bottom Line: A fantastic mix of steampunk, vampires, and lots of romance! Despite living with a shaman, a witch, and a muse for sisters, Rhea Spencer feels like a normal teenager-even if she is the reincarnation of Cleopatra. But all that changes on Rhea's sixteenth birthday, when her visions of the Egyptian queen start unraveling a very different version of history, and Declan, a hot representative of the secret Order of Antony, shows up on the doorstep to keep her from being kidnapped. Together, Rhea and Declan travel to Egypt to stop the Octavians, a dark cabal trying to tap into Rhea's growing powers. The cabal seeks to access the magic deep below the desert sands, a potentially devastating force that only Rhea can protect. 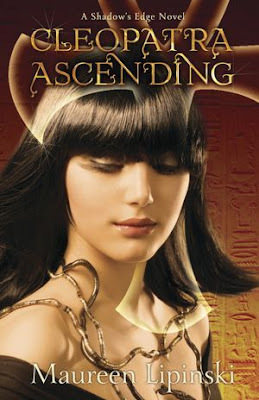 I'm a sucker for any book based on Cleopatra. I'm not 100% sure about the time travel element, but it will be a new twist for sure! There are some great YA ebooks available for free for Kindle and Nook! Grab them while they are free! Not free for the Nook. Giveaway and Review: "Mira's Diary: Lost in Paris"
"Mira's Diary: Lost in Paris"
Mira is shocked when she receives a postcard from her missing mother from Paris. Her father decides it's time for a trip to France to search for her. While visiting Notre Dame, Mira touches a gargoyle and is whirled into the past. There she meets the famous painter Degas and catches a brief, shocking glimpse of her mother. Mira begins to suspect that her mom didn't run out on them but is a prisoner of the past. Can one family on an incredible worldwide adventure stop a plot in time? I loved this book for many reasons. I think it's great that a middle grade book is actively teaching young people about history, art, and tolerance all at the same time. I loved the main message of the book, and that is tolerance. I hadn't heard of the Dreyfus Affair before, Dreyfus being accused of ugly crimes in 19th century France simply because he was Jewish. But I think that tolerance and acceptance is something that needs to be addressed in our society today. There is also a great message of standing up for what you think is right, in the face of intolerance, and I think that's what Mira was able to learn through her time travels. I also loved being able to 'spend time' with Degas and Mary Cassatt in this book. It was great to see the artists' daily lives through the eyes of a friend. The Impressionist movement in France is a wonderful time in art history, and it's represented well in this story. Mira's sketches throughout the pages of the book added to the artistic story lines. She never saw herself as a good enough artist, but her sketches prove otherwise, something her friends were able to see. Mira is a great character, and I really liked her relationship with her family and her 19th century artist friends. I loved the romantic story line between Mira and Claude, it was just enough romance for this age group. At the same time, it was heartbreaking in it's simplicity. Bottom Line: I loved this mix of history, mystery, and art, along with a fantastic message about tolerance that is still important today. 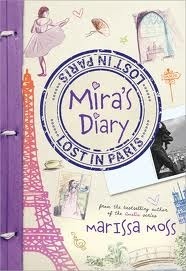 The publicist has generously provided a copy of "Mira's Diary: Lost in Paris" for a lucky follower of my blog! 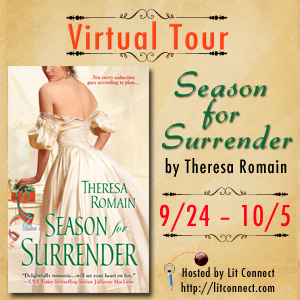 As part of the "Season for Surrender" tour, I have the first excerpt from the book and a giveaway for an copy of the book, autographed by Theresa Romain! FOR SURRENDER. Contest is open internationally. The more stops you comment on, the greater the chance of winning! Her slim arms slid out, stretched forward on the table; then she folded them and laid her head down upon them. The lamp turned her skin golden, her hair the dark of ebony. The expanse of uncovered skin above the bronze silk back of her gown seemed endless and defenseless. He wanted to run his hand over that skin, to test it and protect it and understand it. How could a woman with a knife-sharp mind have such satin-fine skin? The combination was devastating. There was no possible armor against it. He watched the movement of her lips as she spoke. Was this how she saw him—an imposing creature, caged? Then . . . what was his rightful element? “I see,” he said. But she was the one who saw. When her eyes opened, sweet and slow, her face like a sculpture on her folded arms, he felt as though she’d read his every thought. And still, she’d pulled out a chair for him to sit at her side. That was a Christmas gift in itself. He wanted to understand how she knew these things. How had she seen what he had just realized himself? Louisa unfolded herself. Lamplight played over the bronze sheen of her gown as she shifted, as her curves flexed into brightness and dark. Xavier’s mouth went dry. He did not permit himself to shift and squirm in his seat. Additional Tour Stops can be found here! 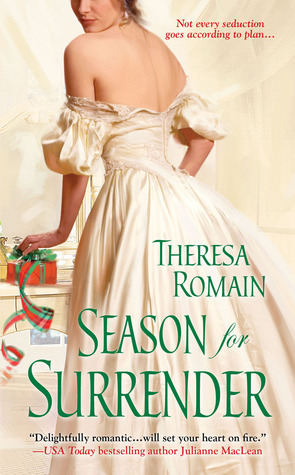 The publicist has generously provided an autographed copy of "Season for Surrender" for a lucky reader of my blog! One half of the writing team of Lydia Dare! Giveaway: "The Athena Effect" and Necklace! As part of the blog tour for The Athena Effect, the author, Derrolyn Anderson is generously giving away 2 e-copies of the book, and a beaded necklace inspired by the book that she made herself! Here's more about the book! 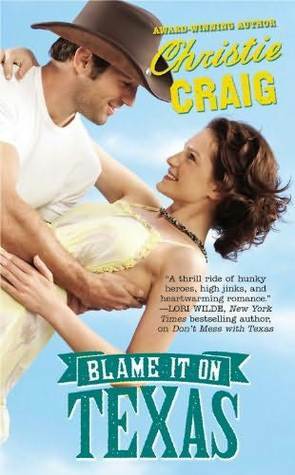 Country girl Cal has been kept a secret her entire life, raised in isolation by two very troubled people. 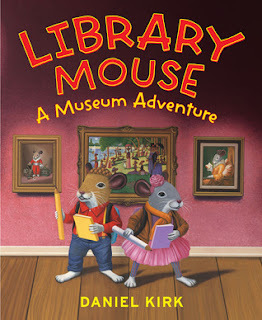 Despite her parent’s disturbing fits, Cal is perfectly content, living at one with the nature that surrounds her, and finding adventure inside the pages of her beloved books. 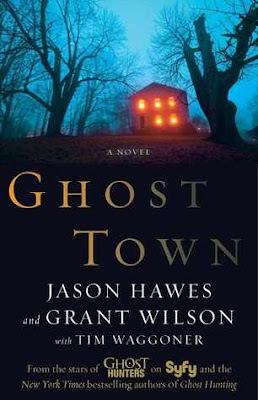 When an awful tragedy tears her away from her remote cabin in the woods, nothing she’s ever read has prepared her for a world that she knows very little about. Girls and motorcycles are what bad-boy Cal’s life is all about. Brought up in a raucous party house by his biker brother, he’s free to do as he pleases, going through the motions on his final days of high school. Aimless, Cal stopped thinking about his future a long time ago. Attacked by a gang of thugs while running an errand for his brother, Cal is in serious trouble until a fierce girl appears out of nowhere to intervene. 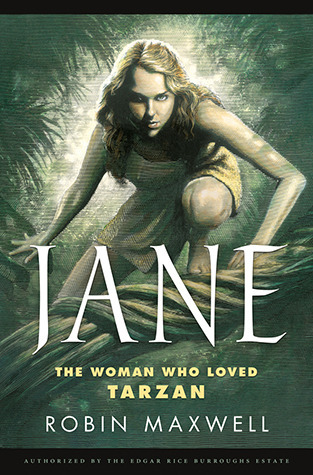 She chases off three grown men, sparing Cal a brutal beating before disappearing into the night like a spirit. He can’t stop thinking about his mysterious rescuer, and when she turns out to be the weird new girl at school who goes out of her way to avoid him, he can’t contain his curiosity. He’s never met anyone like her before, and the more he learns about the unusual girl who shares his nickname, the more he wants to know. Cal can’t help falling for Cal, but can he keep her from falling victim to a dangerous enemy from her parent’s tragic past? You may know about Derrolyn from the popular Marina's Tales series! 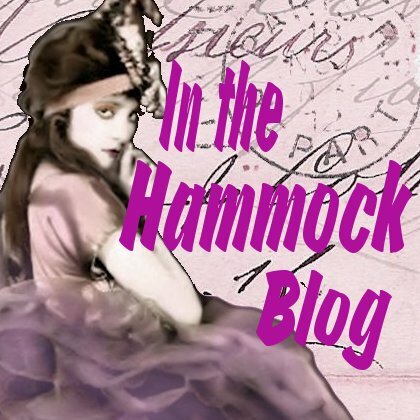 Derrolyn is generously sponsoring two different giveaways here at In the Hammock Blog. The first giveaway is US/CAN only and includes an e-copy of the book and a beaded necklace made by Derrolyn. The second giveaway is INTERNATIONAL is for the ebook only. Here's a little more info about this beautiful necklace inspired by the book! Derrolyn says: "I’ve made some jewelry inspired by my main character Caledonia’s ability to see auras – colorful emotions made visible." 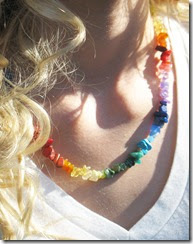 Approximately 18’’ with a toggle closure, the necklace is a rainbow of gemstone chips, including : Citrine, Peridot, Green Adventurine, Malachite, Amazonite, Magnesite, Turquoise, Lapis, Howlite, Amethyst, Coral, Jasper. and Amber. 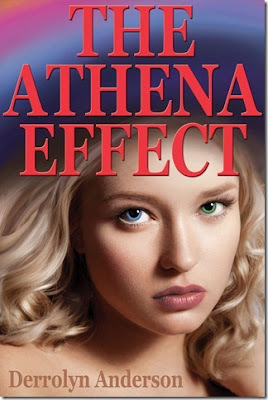 The author has generously provided 2 copies of "The Athena Effect" and a necklace for a lucky follower of my blog! 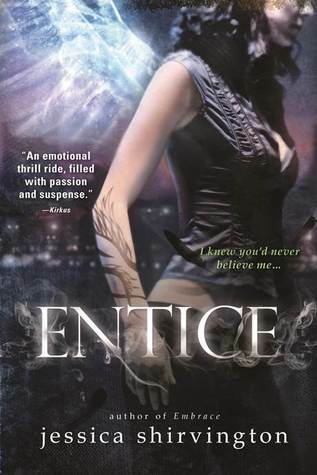 As part of the "Entice" blog tour, I have my review of "Entice" as well as a contest for a copy of both "Entice" and the first book in the series, "Embrace". Violet Eden is Grigori - part angel, part human. Her destiny is to protect humans from the vengeance of exiled angels. I didn't read the first book in the series, Embrace, and I think it would have helped my enjoyment of this book if I had read the first one. I wasn't lost at all, but I did feel like I was missing out on a lot of the deeper meaning, especially when it came to the relationships in the book. I'm not sure angel books are really for me. It's a very specific sub-genre, and it seems like you have to know a lot about the genre before reading. This type of religious fiction is strange to me for some reason. It's strange to see such a fantasy story with religious references and quotes from the Bible. 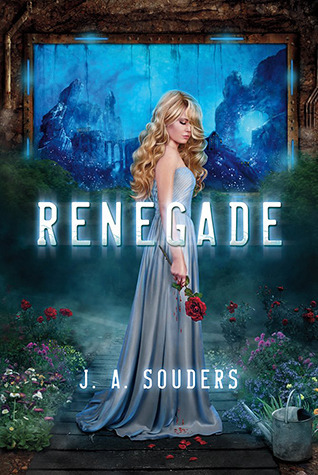 This book reminded me of the adult paranormal style that was made a little bit less intense for a teen audience. I really don't like the adult paranormal genre, so I think that's part of why this book didn't totally work for me. 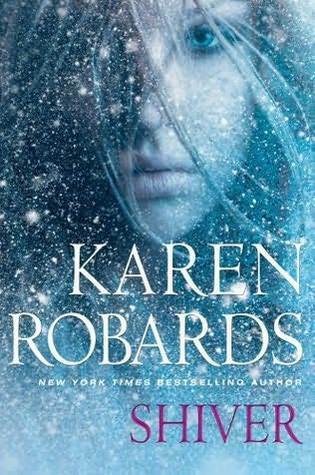 I felt this book was totally appropriate for a teen audience, but it seemed like a 'training book' to train teens into reading the adult paranormals. Violet wasn't especially interesting to me as the lead female. She wasn't especially strong-willed, or especially meek, she was just a middle of the road narrator of the story. I can't say I had any problems with her, she just didn't stand out. The same can be said for her love interest, Lincoln. My favorite character in the book was Spence. He had a little spice! He was funny and a great friend. Another great friend to Vi was Steph, who often brought Vi back to 'reality'. Bottom Line: A detailed look at angel mythology, but I'm not sure it was for me. The publicist has generously provided a copy of "Entice" and a copy of "Embrace" for a lucky follower of my blog! I'm intrigued by the underwater society! Yet, she doesn't look like a mermaid on the cover. Hmmmm, Atlantis-ish, maybe? 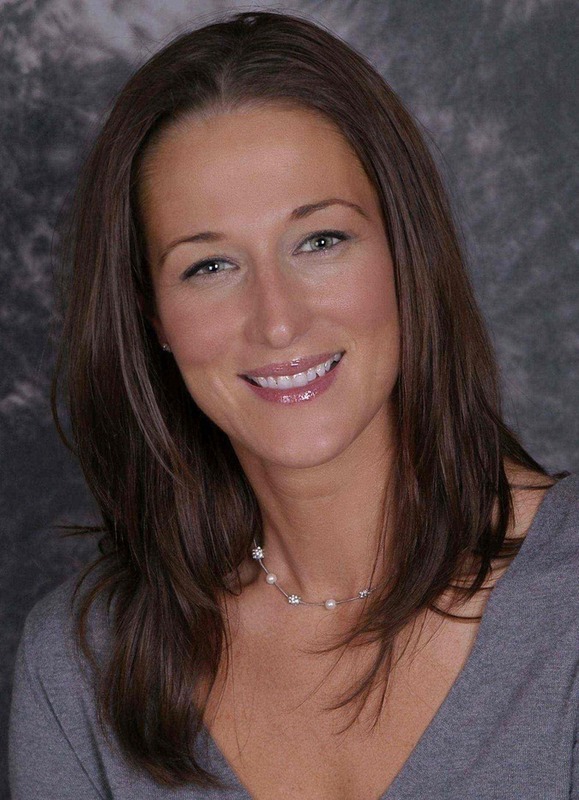 Giveaway and Guest Post with Jessica Scott! 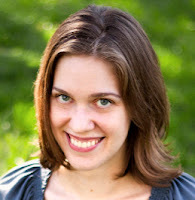 Today, I'd like to welcome comtemporary romance writer Jessica Scott to In the Hammock for a guest post! Jessica Scott is the is the author of the new book, Until There was You, which will be released October 8th. 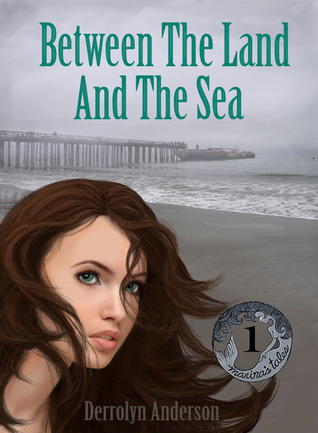 Jessica will be giving away an e-copy of the book to a lucky reader of my blog! 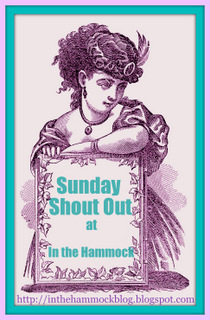 Thanks so much for having me here today at In the Hammock! When Carrie and I were talking about what I should write about, she asked me to consider what in my own military experience has shaped the way or the reason I write. The biggest reason that I write the military stories the way that I do is because I know first hand what coming home from war is like. Going to war changes you and when people have gone back to back to back, they don’t have time to reset their normal. The media is so full of the ex GI strung out with PTSD, it’s tainting the real challenges that soldiers who are coming home from war face. So I write the books I write in the hopes of challenging some of the stereotypes, in painting a slightly more realistic picture of the challenges soldiers face, if that makes sense? In UNTIL THERE WAS YOU, we have Claire and Evan, both captains who have deployed multiple times. My husband has deployed 4 times so I’m intimately familiar with the changes that deploying causes in people. One of the things you won’t see in Evan & Claire’s story is a single event that scarred either of them. It was a process, a gradual change that occurred over the course of time and they have to start unpacking the things that are weighing them down. Thank you for stopping by and sharing your experiences, Jessica! Jessica Scott is a career army officer, mother of two daughters, three cats, three dogs and two escape-artists hamsters, wife to a career NCO and wrangler of all things stuffed and fluffy. She has commanded two companies, served in Germany, Korea, Fort Hood and Iraq, and been lucky not to get fired. She is a terrible cook and an even worse housekeeper, but she’s a pretty good shot with her assigned weapon. Somehow, her children are pretty well adjusted and her husband still loves her, despite burned water and a messy house. Jessica has generously provided an e-copy of "Until There was You" for a lucky reader of my blog! For the past five decades, gemologist Alexandre Reza has been one of Paris's—and indeed, the world's—most exclusive jewelers, a master artisan and exporter based in Place Vendôme, the heart of fashion and luxury. To experience his ornaments is to discover history reborn: The diamonds, sapphires, emeralds, and rubies of his collections have seen the most extravagant centuries and epochs, from French monarchies to Persian dynasties to the Italian Renaissance. And yet Reza's precious stones are never meant to be an antiquated homage to a prestigious past; a creator by instinct, Reza takes history as inspiration rather than for reproduction. His handcrafted pieces mix ages and eras to create something special—a "harmonization of contradictory forces," according to historian Arlette Seta. This monumental edition, part of Assouline's Ultimate Collection, presents more than one hundred rare pieces of Reza's creations, and includes a history of the famed gem house in archival documents and vintage photography. I reviewed a layout of this book, not the finished product, but it looks like the finished product is a work of art in itself. Hand-bound, in a suede clamshell case, I'm sure the finished book is exquisite. 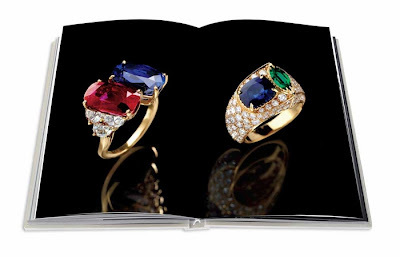 With a $1,000 price tag, this book could be displayed along with the jewels pictured on it's pages. 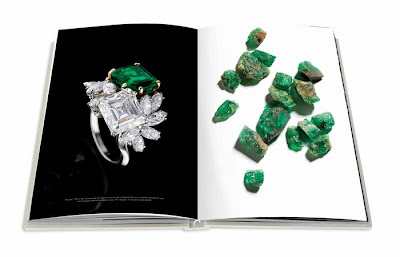 The book has so many vivid photos of various jewels from the Reza collection. The colors really jump off of the pages. The pieces are all shown in lush detail. The vast variety in styles is really surprising, there is something here for everyone. 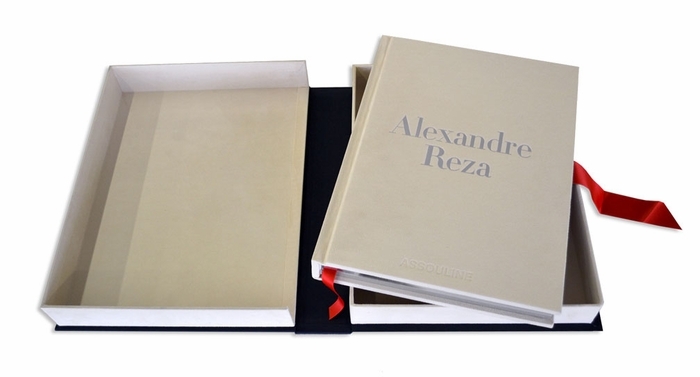 There is a brief history of Alexandre Reza and his design house, but it wasn't really readable in the format that I received for review, however I trust that it was a basic history of the designer. The real bulk of the book is the detailed photos of the extravagant jewelry pieces. Bottom Line: The photos of the jewelry are exquisite, and I'm sure the packaging is swoon-worthy. The price tag reflects the extravagance of both the book and the jewels on it's pages. Breaking and entering to reclaim her corrupt late father's ledger comes surprisingly easily to Sophia Darnly. But is it mere coincidence that her misdeed unexpectedly reunites her with Kier, the outlaw lover who abandoned her years ago? Time has not erased Sophia from Kier's heart, nor tamed her fiery spirit. She boldly insinuates herself into Kier's plan for revenge, believing the ledger will ensure her survival. But Kier knows that with or without the ledger, she's as good as dead. Kier is a dangerous, intoxicating potion for Sophia, but he's on a mission of revenge, and can't allow even the woman he once loved to stop him. The danger mounts as they take on the leader of a powerful consortium who needs the fabled Darnly ledger—and all its damning details about the wealthiest merchants of England—to execute his nefarious plan. He also needs Sophia—the last witness to his scheme—dead. The coals of their rekindled passion burn hot as Sophia and Kier set their trap. But when the duo discovers they too are the targets of a deadly deception, the fate of their love, and of England itself, lies in the balance. 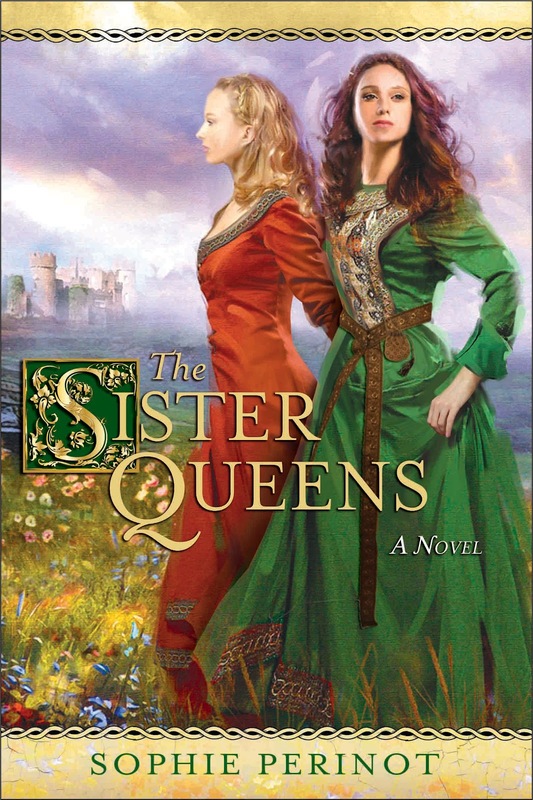 I was really impressed with this medieval historical romance. 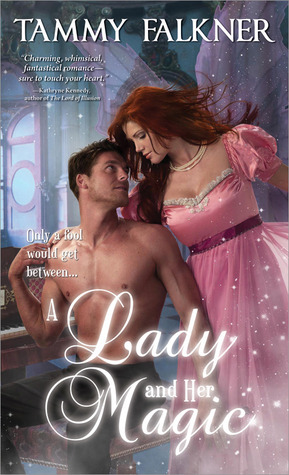 It was quite different from the norm, and didn't really follow the regular formula of historical romances. The writing style was very different, almost lyrical in some places which made for a really romantic read. Kier wasn't totally my type of hero, he was a little too alpha for me, but I still liked him. His alpha personality was balanced well with Sophia's strength, so he never seemed too overbearing or anything. She had too much strength in her own right to let him turn her into a pushover. There were still a lot of really romantic lines that were positively swoon-worthy, and showed that they were both mushy romantics underneath their armor. 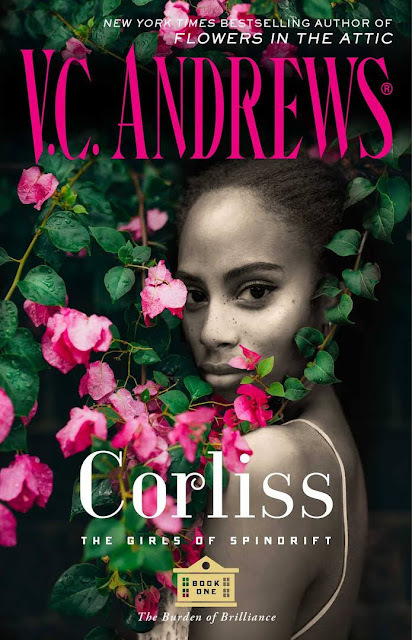 The beginning focused a lot on the setting and setting up the mystery, so I thought the book would be slow, but once the romance started, the pages just flew by and it was a really quick and addictive read. I enjoyed this one a lot more than the author's first book, Defiant, in which I felt the romance never really started going at full steam. I think in this book, the language and story were much more relatable instead of going for the over the top medieval language and feel like the first book did. I'm looking forward to her next book after enjoying this one so much. Bottom Line: Fans of medieval romance, alpha heroes, and strong heroines are going to love this book! Can't wait to read her next romance! Giveaway and Review: "Pushing the Limits"